Wikifarmer editorial team makes every possible effort to ensure that information and all contents of the website are 100% accurate, and are governed by accuracy, clarity, completeness, timeliness, adequacy and availability, but does not guarantee and is not responsible for the attainment of the existence of those elements. The use of the service is at your own risk. The user bears sole responsibility for the use, evaluation, assessment and utilization of any information provided in this website. 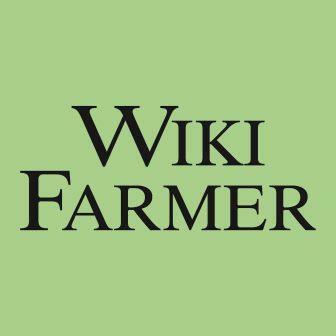 Any business or other decisions made on such information is the sole responsibility of the user and Wikifarmer.com is not obliged to cover losses from use of information provided via this website. Wikifarmer.com assumes no liability or responsibility for any (I) errors, mistakes, or inaccuracies of content; (II) property damage of any nature whatsoever, resulting from your access to or use of our service; (III) any unauthorized access to or use of our secure servers and/or any and all personal information stored therein; (IV) any interruption or cessation of transmission to or from the service (V) any bugs, viruses, Trojan horses, or the like that may be transmitted to or through our service by any third party; (VI) any errors or omissions in any content or for any loss or damage incurred as a result of the use of any content posted, e mailed, transmitted, or otherwise made available through the service; and / or (VII) user content or the defamatory, offensive, or illegal conduct of any third party. This Limitation of Liability section applies whether the alleged liability is based on contract, tort, negligence, strict liability, or any other basis, even if Wikifarmer.com has been advised of the possibility of such damage. The foregoing limitation of liability shall apply to the fullest extent permitted by Law in the applicable jurisdiction.